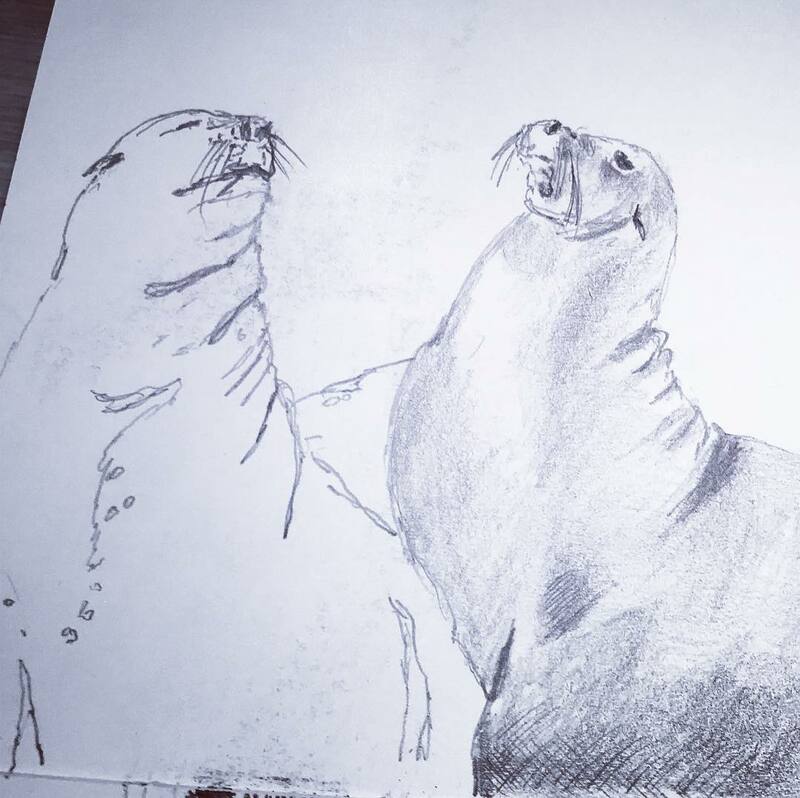 I drew these guys on an early morning at Pier 39, San Francisco. There were loads of them, easily 30-40 laying on some floating decks off the end of the pier. They were easier than most animals to draw, not only because they’re not furry or because they are a simple shape – it was more due to the fact they’re lazy and slow whilst gently baking themselves in the morning sun. Occasionally an argument would break out and they’d start barking but it was soon over when they realise they’re missing out on valuable sleepy sunbathing time.